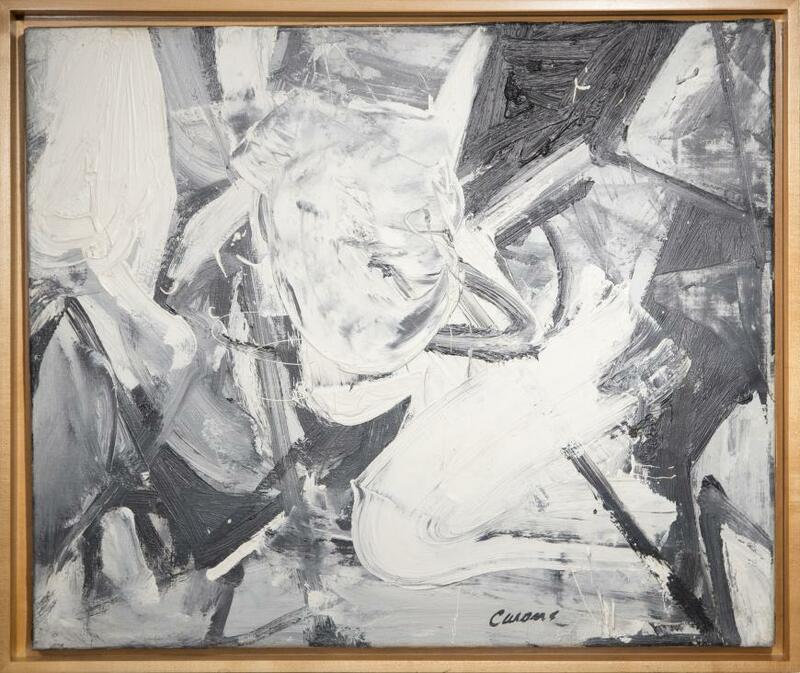 An elegant composition in black and white, Untitled c. 1957 dates to a prolific period in Nicolas Carone's career. The '50s saw marked success for the artist, who during the decade participated yearly in the Ninth Street Shows and Stable Gallery Annuals, also exhibiting at the Brussels International Exhibition (World's Fair) and a Smithsonian exhibition dedicated to Fulbright painters. 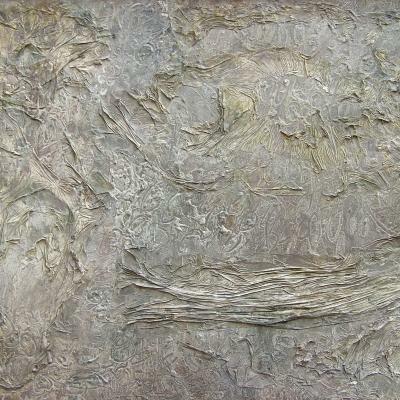 Notably, in 1957, he was invited to show in the Whitney Annual. 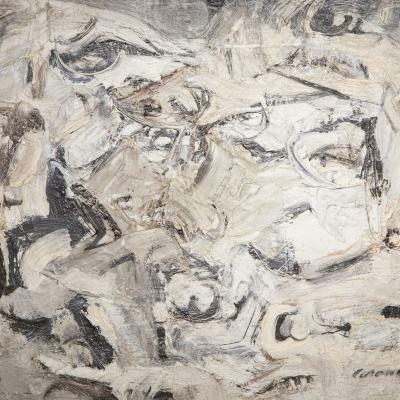 A member of the New York School of Abstract Expressionists, Carone was influenced by Surrealism, poetry, and Jungian psychology. 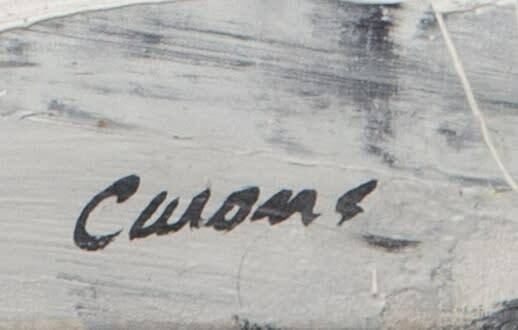 Believing that every moment and experience contained inspiration, Carone once posited: "if you look at the sidewalks on a rainy day, study all the marks, you see great paintings." 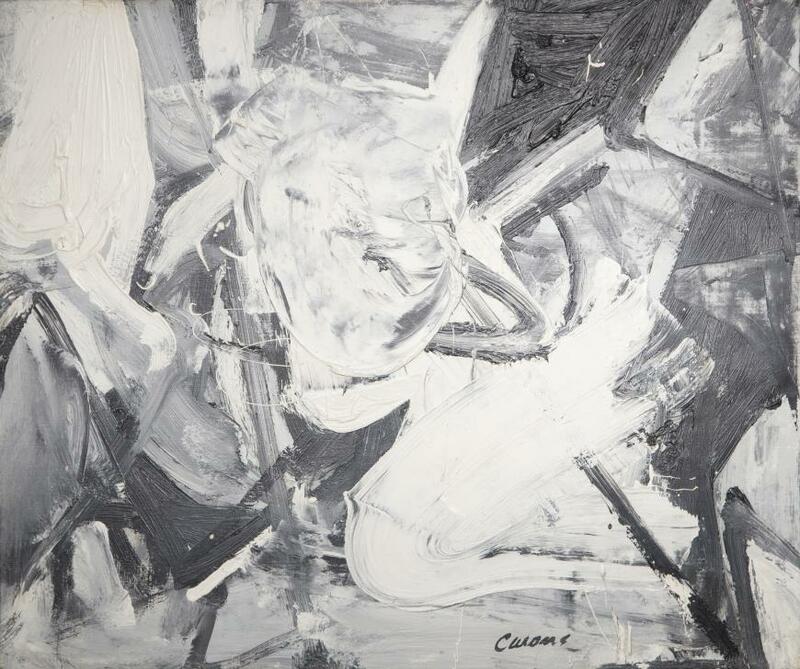 Untitled c. 1957 is a collection of, and homage to, the accrual of visions and experiences that resulted in the expulsion of the encapsulated abstract image from Carone's psyche. The forceful vortex of marks at its center draws the viewer in, almost as if the painting had its own gravity.